A comprehensive collection of technical experiences for students in the late elementary and intermediate years. Time-honored etudes, meticulously organized, graded and edited, plus detailed and invaluable suggestions for musical, rhythmic and physical practice. 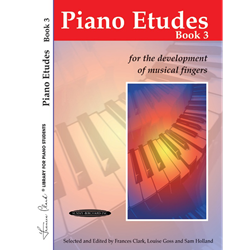 Designed for use with the four-book Musical Fingers series of essential exercises.